The living room's function is mostly to be a space for relaxation and downtime for all members of the household. Because it is such a common area, achieving a look to satisfy everybody can be challenging. However, with keeping a few principles and elements of interior design in mind, achieving the best look for your living room can be super simple! Today we have gathered a few different ways to help you create that beautiful living area space that you and your family desire! The pieces you chose for your living room is a great place to start! The arrangement of these pieces can assist in setting a style and tone for this part of your home. Creating a focal point in this room is a great place to start! From there, choosing pieces that create a conversation area, as well as decor to accessorize will help you accomplish the look you want to achieve! Keeping your color scheme pretty neutral in your living room is going to help you achieve a style that suits everybody's taste. 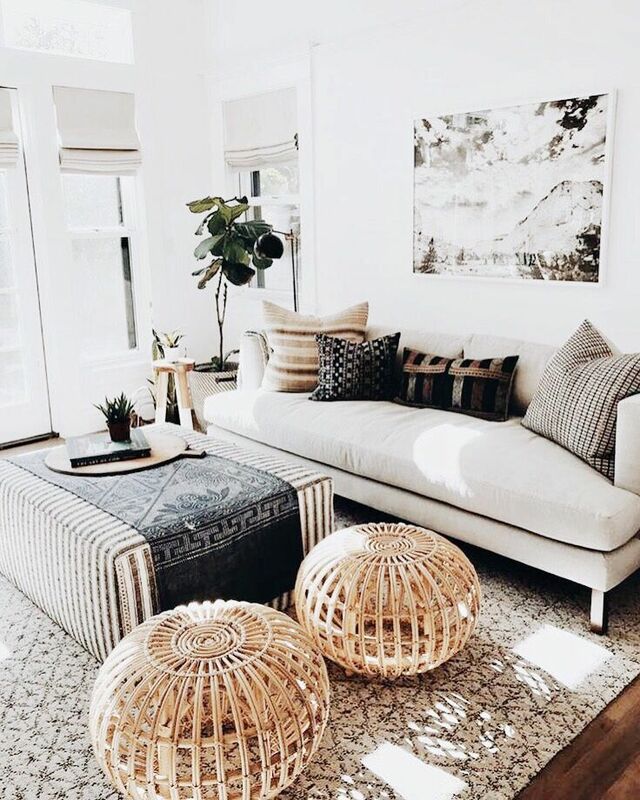 Also, using more neutral tones can help to keep the room looking fresh + bright, and also creates a larger look for the room! This also allows you to use pops of bolder colors in small accents such as throw pillows + blankets. Keeping measurements in mind when creating a living room design will make your overall vision for the space much easier to accomplish! Knowing the sizes and exact measurements of the room and the furniture you want to use will help you to create symmetry and balance in order to keep the room from looking too cluttered, cramped or even sloppy. Accessorizing your living room adds a personal touch to the entire area! 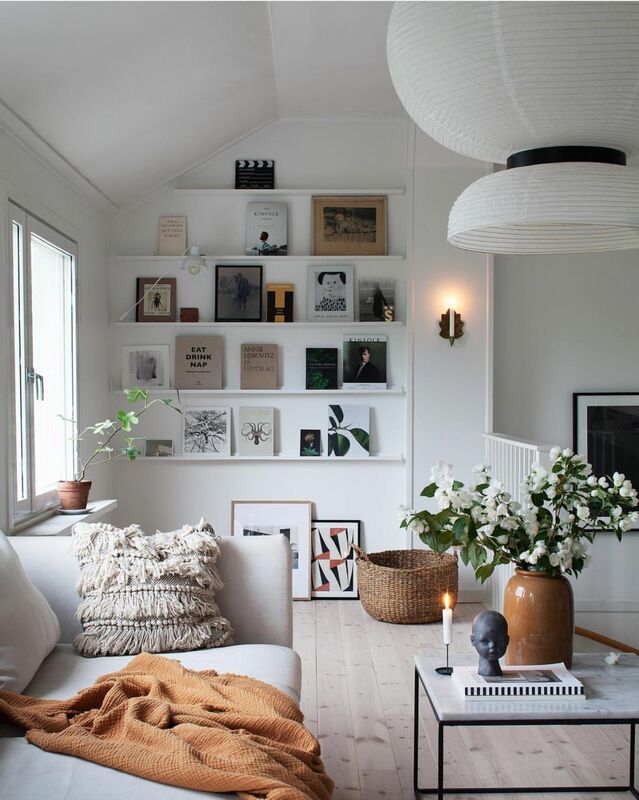 Displaying your favorite flowers or creating space for a gallery wall adds so much charm and personality any room. It also displays your personal style, and can also personalize the space to showcase your beautiful friends + family!